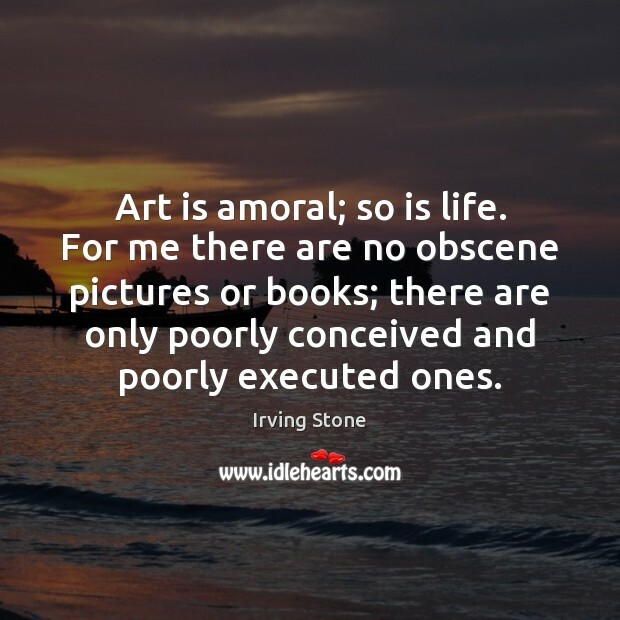 Quotations about Amoral. Quotes to stimulate mind and drive action! Use the words and quote images to feed your brain inspiring things daily! 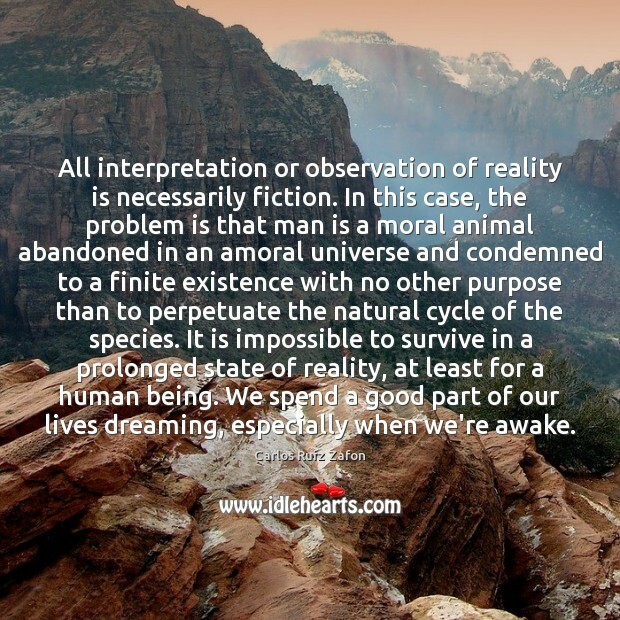 All interpretation or observation of reality is necessarily fiction. 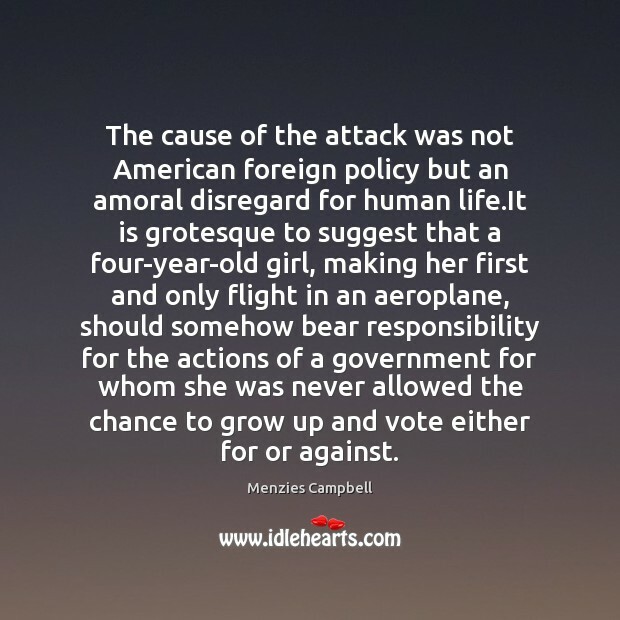 In this case, the problem is that man is a moral animal abandoned in an amoral universe and condemned to a finite existence with no other purpose than to perpetuate the natural cycle of the species. It is impossible to survive in a prolonged state of reality, at least for a human being. We spend a good part of our lives dreaming, especially when we're awake. 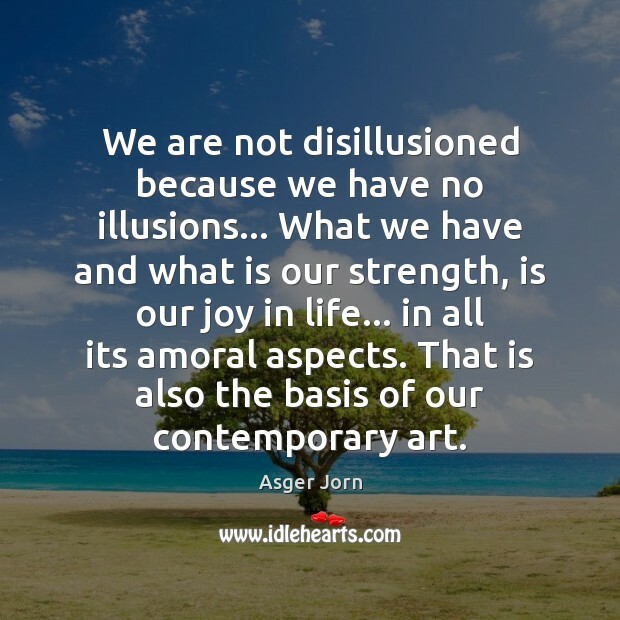 We are not disillusioned because we have no illusions... What we have and what is our strength, is our joy in life... in all its amoral aspects. That is also the basis of our contemporary art. 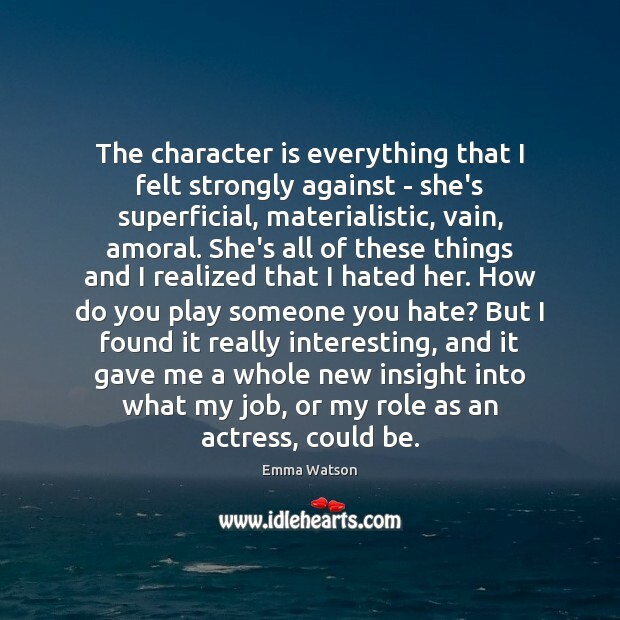 ...But I don't think I'm the only person who is tired of books and movies full of paper-doll characters you don't care about, who have no self-respect and no respect for anybody or any institution....And I don't want to sound preachy or Victorian, but I'm tired of amorality in fiction and in real life. 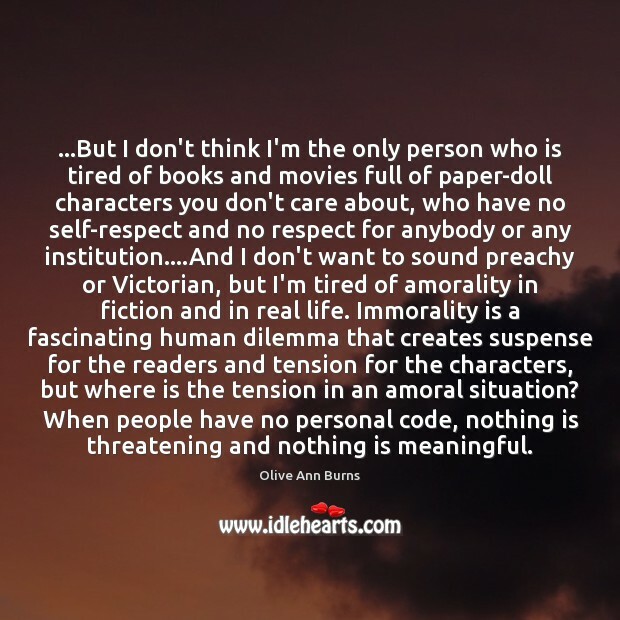 Immorality is a fascinating human dilemma that creates suspense for the readers and tension for the characters, but where is the tension in an amoral situation? When people have no personal code, nothing is threatening and nothing is meaningful. 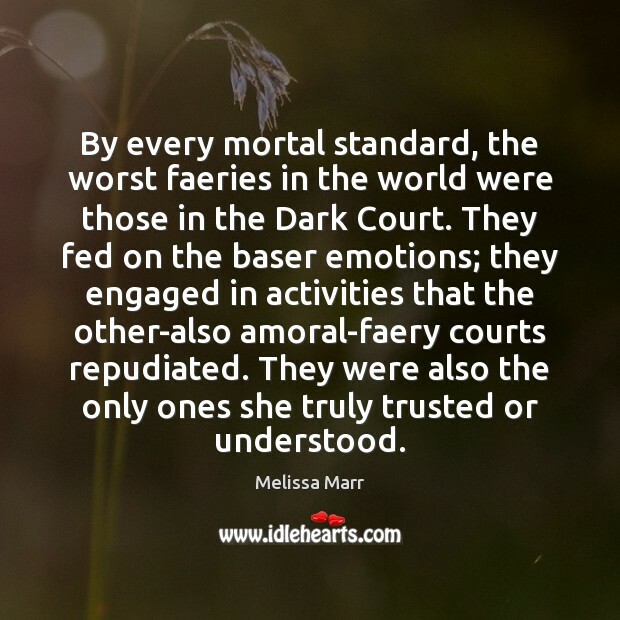 By every mortal standard, the worst faeries in the world were those in the Dark Court. They fed on the baser emotions; they engaged in activities that the other-also amoral-faery courts repudiated. They were also the only ones she truly trusted or understood. 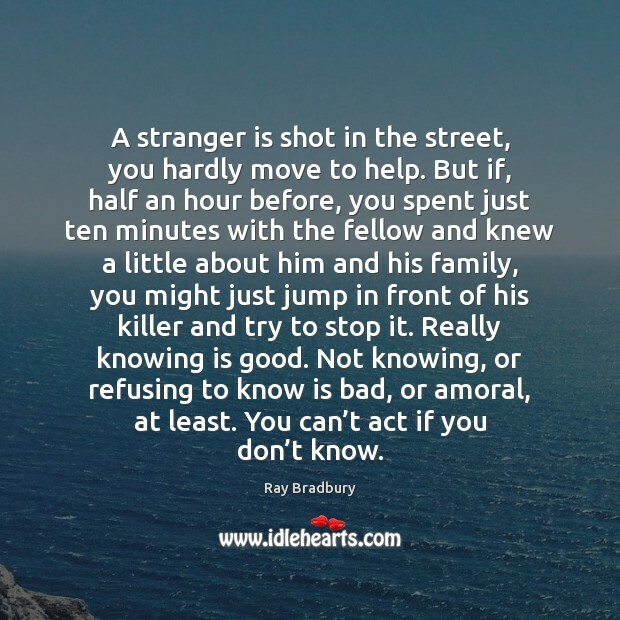 A stranger is shot in the street, you hardly move to help. But if, half an hour before, you spent just ten minutes with the fellow and knew a little about him and his family, you might just jump in front of his killer and try to stop it. Really knowing is good. Not knowing, or refusing to know is bad, or amoral, at least. You can’t act if you don’t know. 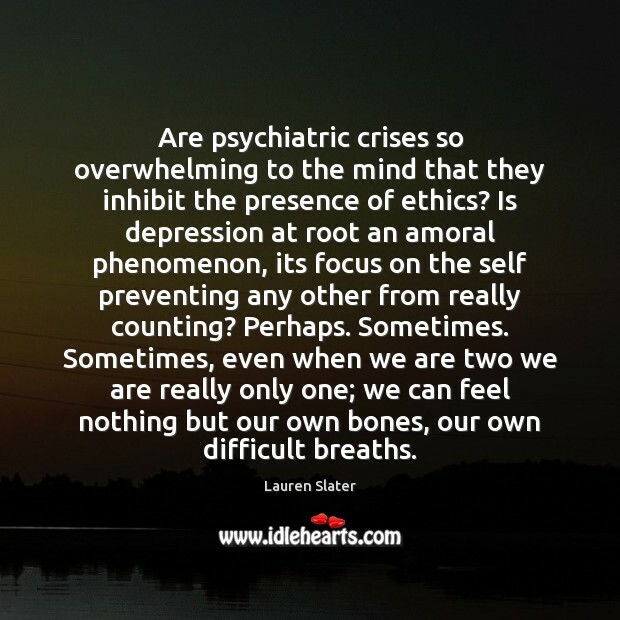 Are psychiatric crises so overwhelming to the mind that they inhibit the presence of ethics? Is depression at root an amoral phenomenon, its focus on the self preventing any other from really counting? Perhaps. Sometimes. Sometimes, even when we are two we are really only one; we can feel nothing but our own bones, our own difficult breaths. 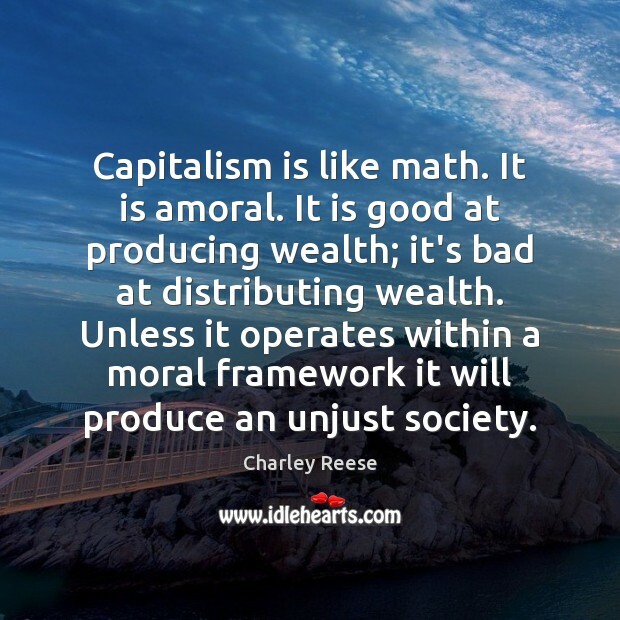 Capitalism is like math. 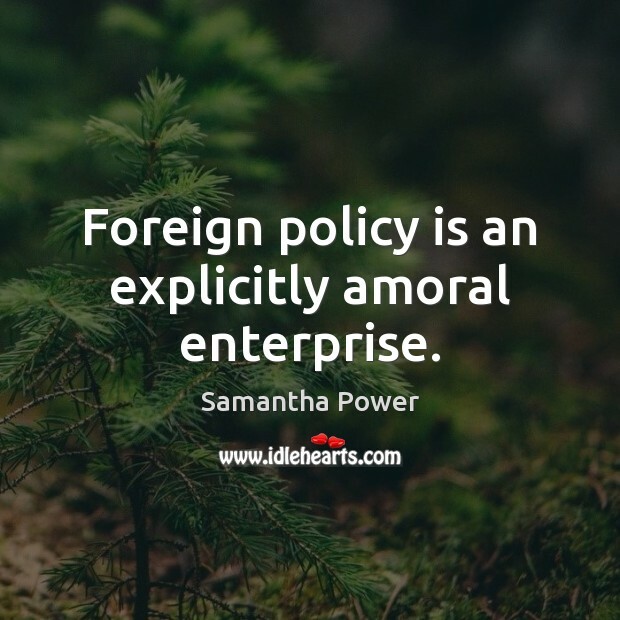 It is amoral. It is good at producing wealth; it's bad at distributing wealth. 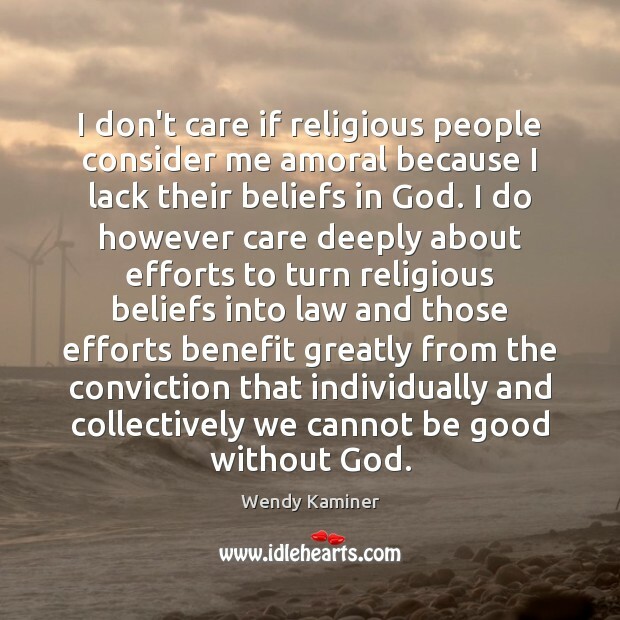 Unless it operates within a moral framework it will produce an unjust society. There's too many people that paint with a broad brush that we're all corrupt, we're all amoral. 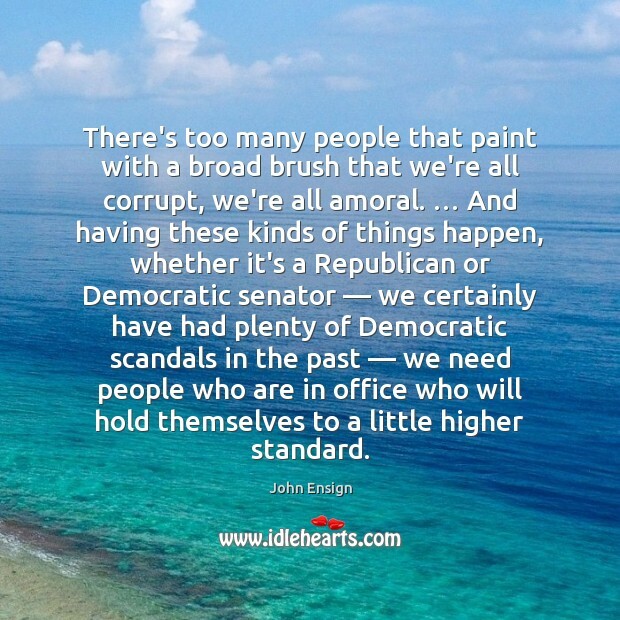 … And having these kinds of things happen, whether it's a Republican or Democratic senator — we certainly have had plenty of Democratic scandals in the past — we need people who are in office who will hold themselves to a little higher standard. 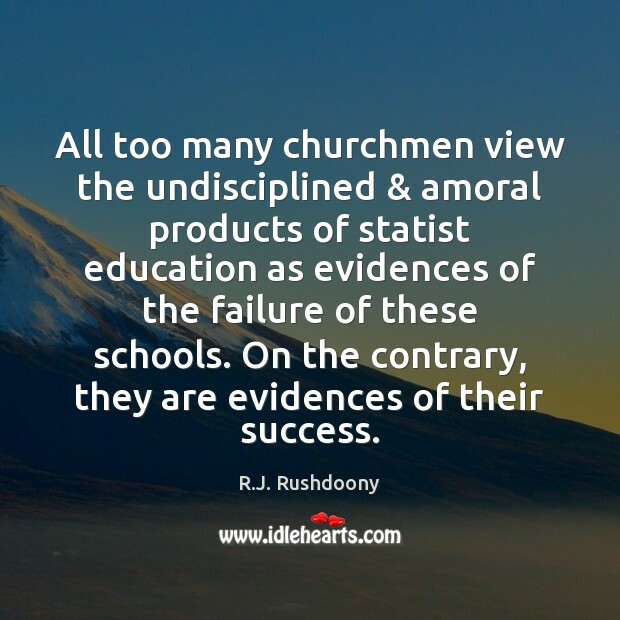 All too many churchmen view the undisciplined & amoral products of statist education as evidences of the failure of these schools. On the contrary, they are evidences of their success. I am fond of music I think because it is so amoral. 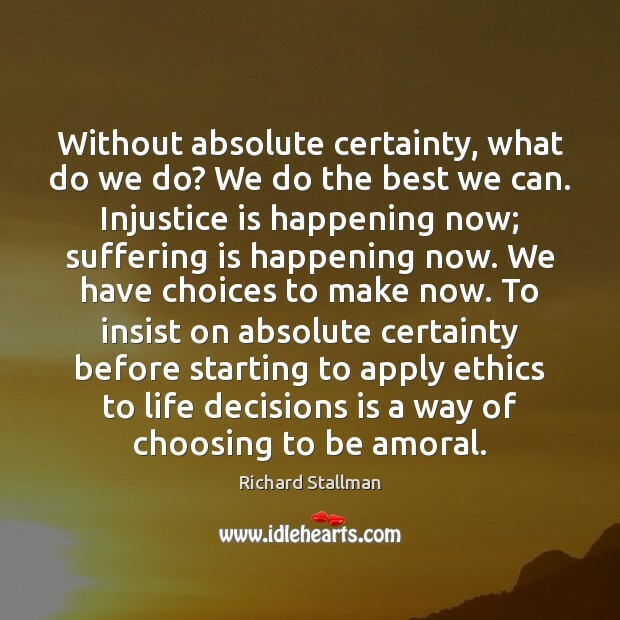 Everything else is moral and I am after something that isn't. 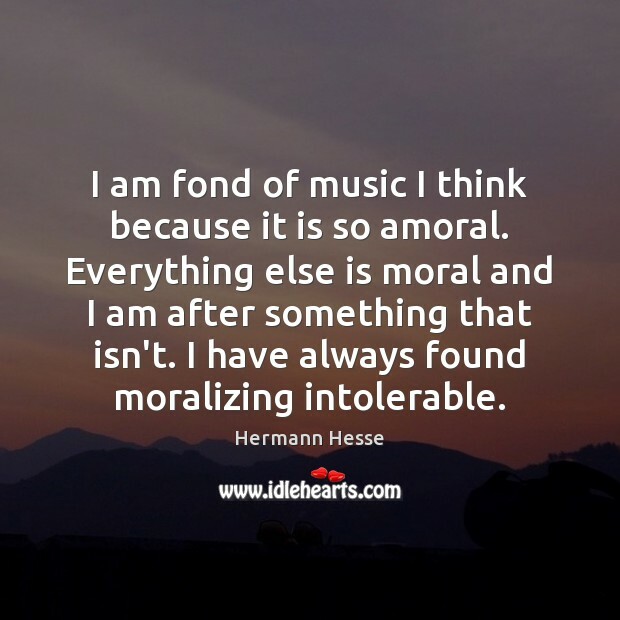 I have always found moralizing intolerable.